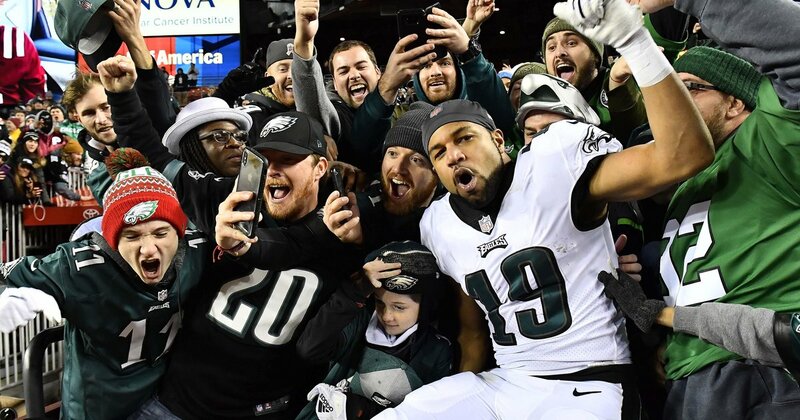 Mailbag: Is the Eagles’ decision to trade for Golden Tate good yet? In our Eagles chat this week, there were a lot of questions that we could not get to in time or other questions we did answer but could use more color. And so, let’s do a mailbag post to answer some of the overflow. game, that would make it a good trade. Is it now a good trade? during that game, only his happened in a crucial moment. as it did. But I’m not there yet. I still think that was a bad use of resources and the return on investment hasn’t been good enough yet to warrant a Day 2 pick. the Eagles’ best running back in a number of games. despite having the big body that he has. healthy, who would it be? Rodney McLeod, and Jay Ajayi. McLeod is a huge upgrade over Corey Graham. this the toughest game left standing in the way of another title? This game is sort of like the U.S. hockey team vs. the USSR in the 1980 Olympics. That game was by far the hardest, but they still had to beat Finland thereafter. OK, I took it too far. squad instead of playing for the Eagles in the playoffs? the opportunity to play for either the Eagles or Colts on their 53-man rosters. future, maybe they would have just had you on their 53-man roster? waivers “might have been the key to our season,” so he’s not going anywhere. healthy, and I’m not holding my breath there, he’s depth only.